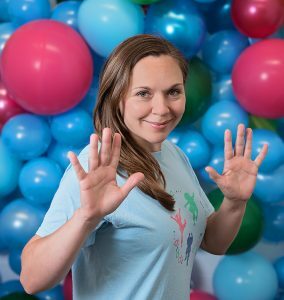 Having taken over the running of diddi dance North and Central Leeds in September 2016, I started my diddi journey as a mum bringing my own two boys along as a customer. To me, it is the best dance and music class around as it is relaxed, fun, funky and teaches little ones different languages all within a 45 minute session! Since starting up, I’ve grown the business, hired a teacher to help me out, and we now run classes every weekday as well as run sessions in various nurseries, preschools, schools, out of school clubs and we always enjoy throwing birthday parties for both our customers and the general public too. I love that diddi dance fits around my children, still giving me time to be a mum as well as run a successful local business.